A 1,900 square foot portion of the second story of an office building was being considered for conversion from office space to bulk product storage for a nutritional supplement company. The reinforcement design and thickness of the second floor slab were required for the structural engineers to calculate the loading capacity of the floor. 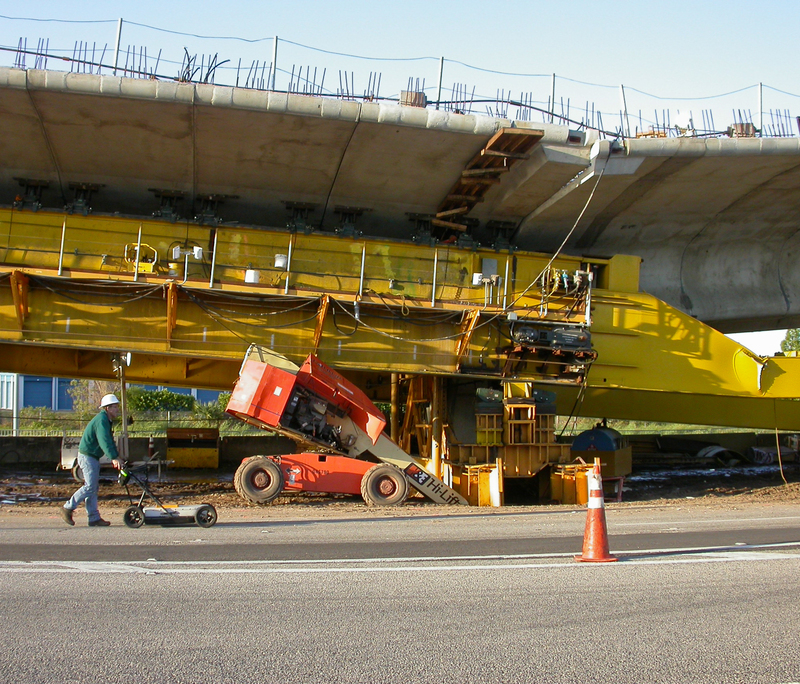 GeoView was tasked to determine the size and configuration of the reinforcing and to determine the thickness of the slab. The underlying first floor was occupied and coring completely through the slab was not an option. 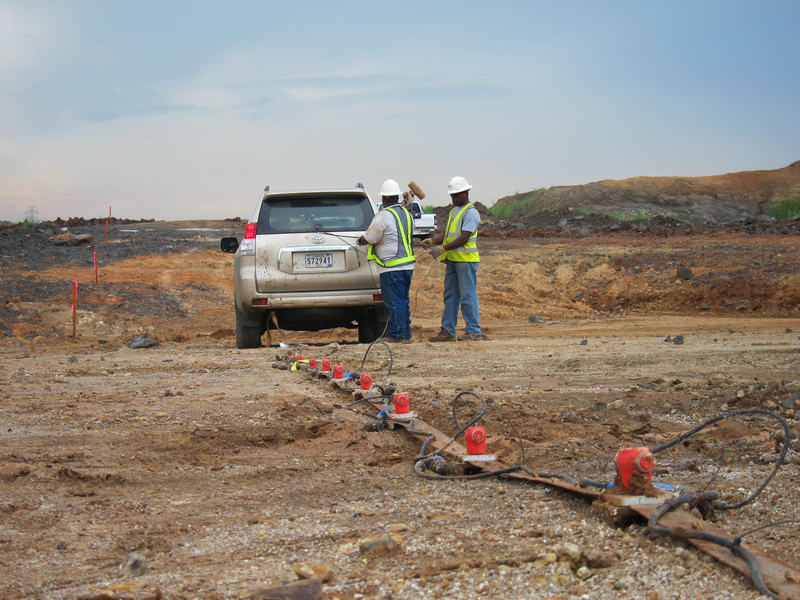 The configuration of the rebar was determined using a Geophysical Survey Systems, Inc. (GSSI) Mini Structure Scan and GSSI Structure Scan system with 1.6 and 2.6 Giga-Hertz antennas. 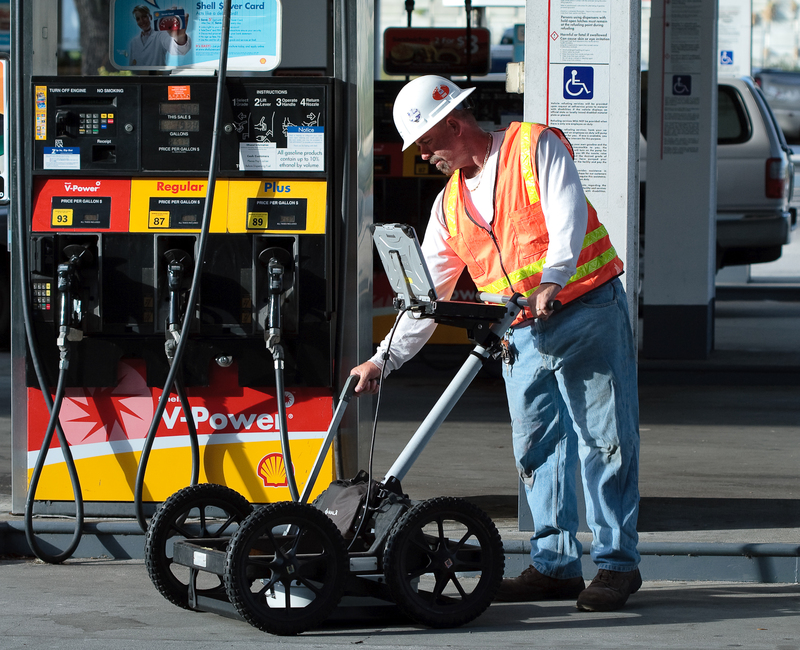 The GPR data and a Hilti Transpointer were used to determine the slab thickness. The slab was reinforced by two layers of reinforcing. The lower layer of rebar consisted of a rebar mat with spacing ranging from 8 to 16 inches on center, with an average spacing of 12 inches. Estimated depths to the top of the lower rebar mat ranged from 7 to 8 inches. The size of the lower rebar mat was estimated as #9 (1 1/8 inch diameter) using GPR. Several distinct reinforcing designs were observed within the upper rebar mat. The areas around the column had an upper mat design of rebar on 10 to 12 inch centers. Outside of these areas the upper mat rebar pattern was highly variable; ranging from no rebar, to rebar in a single direction to rebar in a mat configuration with different spacing’s. Approximate boundaries of the areas with a similar upper mat rebar configuration were provided on a scaled site map.